This question comes up every time accompanied with arguments about the day, which is observed as a public Holiday in some countries. Before I begin, I must say, it has nothing to do with the sport of boxing. Boxing Day is a holiday celebrated on the day after Christmas Day. It originated in the United Kingdom, and is celebrated in a number of countries that previously formed part of the British Empire. 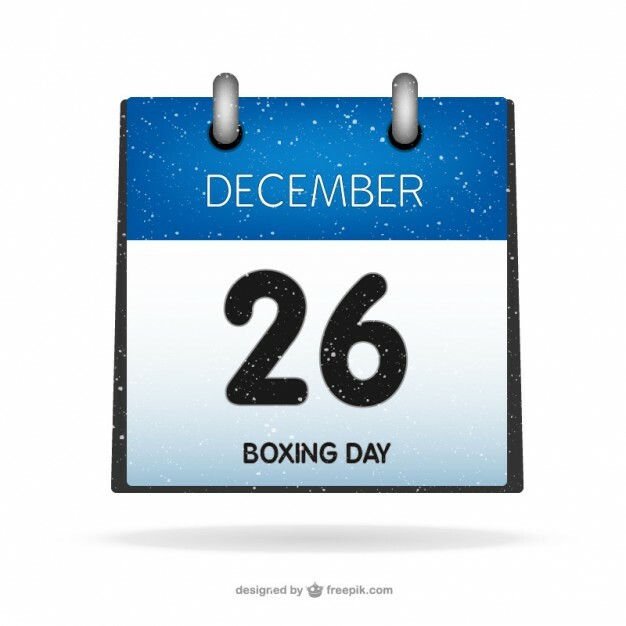 Boxing Day is on December 26, although the attached bank holiday or public holiday may take place either on that day or two days later. Believed to have started in Britain in the 1800s to offer boxed gifts to employees, tradespeople and the poor, the day is also observed by some European countries including Spain, Germany, Poland, the Netherlands, and Scandinavia who celebrate it as a “Second Christmas Day”. In the 21st century, Boxing Day serves as “Black Friday” for people in the United Kingdom, Canada, New Zealand and Australia where shops hold sales and offer outstanding discounts. Sporting activities are traditionally held to mark the day including rugby, football, cricket, horse racing and ice hockey. However, some African nations believe it is a day when people eat leftovers. In a country like Cameroon, Boxing Day is a day when people share and eat what’s left after Christmas. On Christmas Day in Cameroon some families prepare so many dishes and invite friends and relatives over. Now because almost everyone prepares at least a dish or two back at home when they visit, they do not eat a lot and as a result so much is left over the next day. UB Choir stopped from staging a concert at PC Nsimeyong. Personal decision?